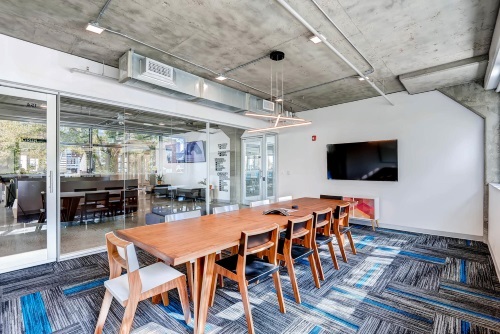 Searching for quality Denver meeting space? Our 14 meeting rooms range in size and amenities, with many offering HDTV, whiteboards, phone conferencing systems, Chromecast and more! Our love of Denver shines through as we named each meeting room after beloved neighborhoods throughout town. Available for members and non-members alike. Funky meeting room with great large windows and a front glass wall. Being off of the grand entrance and lounge makes it a great first impression for your guests and an inspiring room to meet. Two walls of glass look out over the action of the lobby and Cafe. 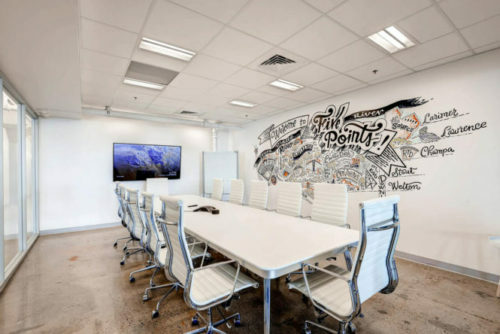 Designed with crisp white leather chairs, a custom painted wall mural, and black table for the true board room feel. Corner meeting room with great lighting for a sunny experience. Front glass allows guests to see the energy and interactions in the space, while maintaining privacy with whiteboards on the tables and walls. Where virtual and physical conferencing become one. 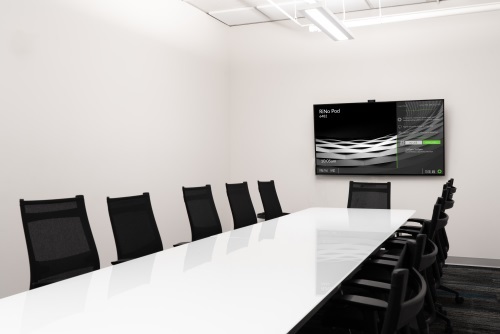 The video conference room brings together people and tech for a great meeting. LOOKING FOR LARGER EVENT SPACE INSTEAD?